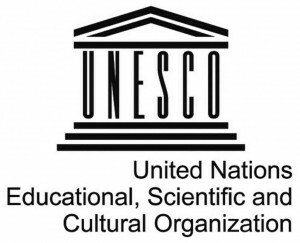 Logo of the United Nations Educational, Scientific and Cultural Organization (UNESCO) World Heritage Committee. Preface: The Operational Guidelines for the Implementation of the World Heritage Convention (2016), also known as 2016 Operational Guidelines, was adopted by the 40th session of the World Heritage Committee, UNESCO Headquarters, Paris, France, 24-26 October 2016. The World Heritage Committee, the main body in charge of the implementation of the Convention, has developed precise criteria for the inscription of properties on the World Heritage List and for the provision of international assistance under the World Heritage Fund. These are all included in a document entitled “Operational Guidelines for the Implementation of the World Heritage Convention“. This document has been revised by the Committee to reflect new concepts, knowledge or experiences, the Operational Guidelines are periodically revised to reflect the decisions of the World Heritage Committee. the mobilization of national and international support in favor of the Convention. The Committee reviewed the proposed revisions to the Operational Guidelines for the Implementation of the World Heritage Convention, and adopted the 2016 Operational Guidelines. The 40th session of the World Heritage Committee, UNESCO Headquarters, Paris, France, 24-26 October 2016. The Operational Guidelines are periodically revised to reflect the decisions of the WHC from 30 June 1977. It aims to facilitate the implementation of the Convention concerning the Protection of the World Cultural and Natural Heritage adopted by the General Conference of UNESCO in 1972, by setting forth the procedure and precise criteria for the inscription of properties on the World Heritage List and for the provision of international assistance under the World Heritage Fund (WHF).